Something from my bar whenever I feel like it episode CIXsteemCreated with Sketch. Episode CIX a New Saturday Series Awakens. Since OSU is done for the year and I don't have any general college football stuff I'm changing Saturday to SciFi Saturday. Up to this point I think I have only done 1 SciFi episode (not counting the NASCAR #24 Star Wars car). I have about 1 1/2 display cabinets filled with SciFi stuff in the bar so this series will continue for a good long time. 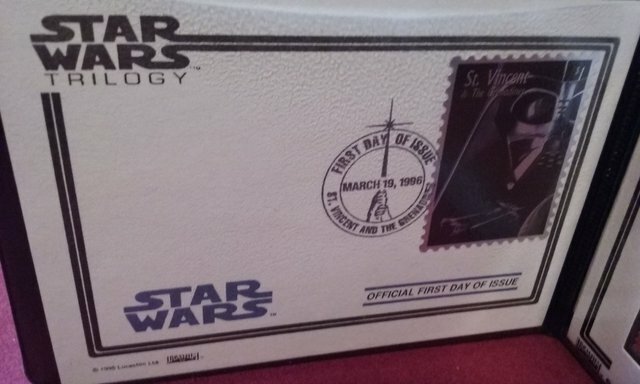 First up in the series we have a stamp. 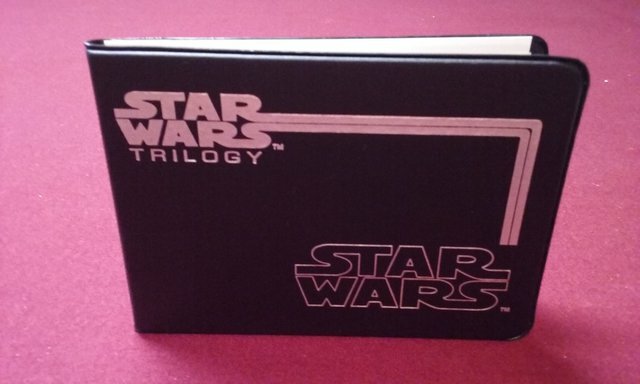 This one commemorates the Star Wars Trilogy. 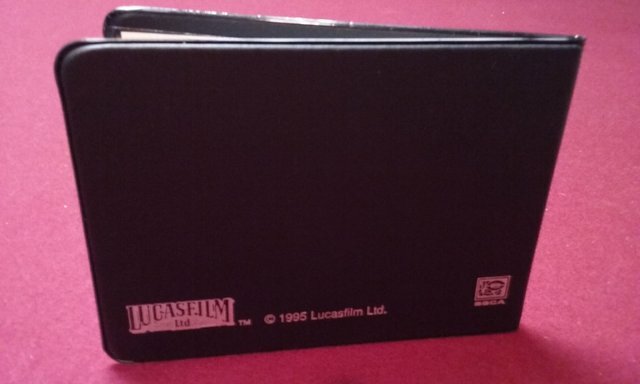 It's was made in 1995 but issued in 1996. 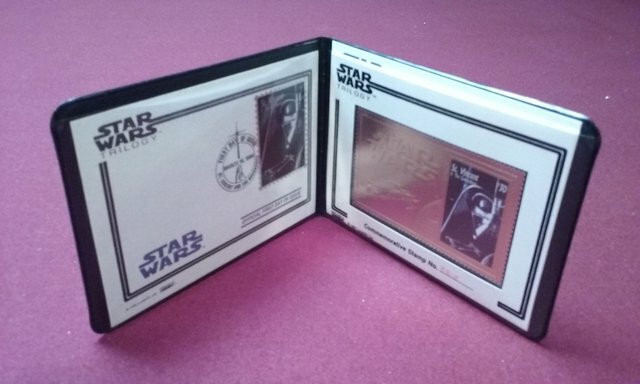 Inside there are $1 and $30 Darth Vader stamps. 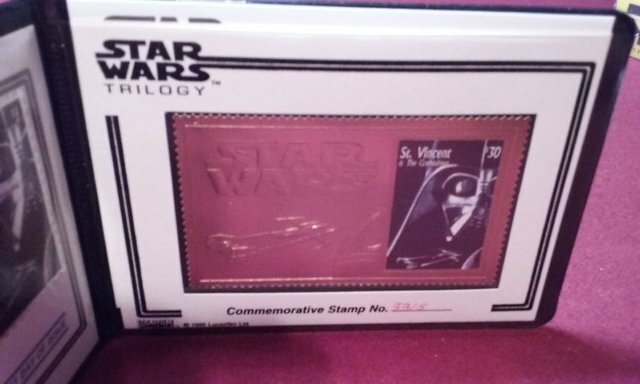 The $30 one is a gold stamp. 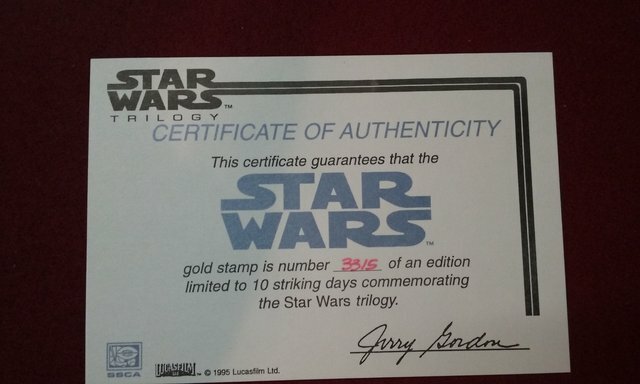 There is also a certificate that I keep behind the stamp. It shows that these were only made for 10 days and that this is number 3315 of those made. May the Force Be With You.